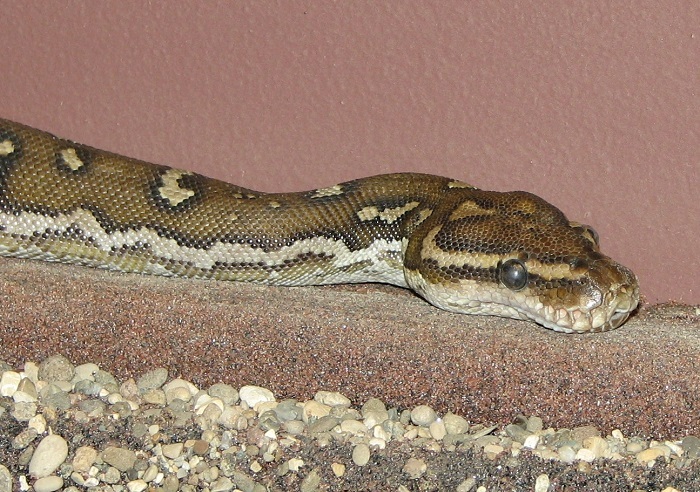 Angolian python. Image courtesy Ltshears, Wikimedia Commons. In this latest EGI case study, discover how the Chipster platform is helping virologists to make sense of millions of virus genomes. Boid Inclusion Body Disease is a disease that affects snakes worldwide. A team of researchers has sequenced the genome of viruses found in sample snakes. The researchers made use of software and computing resources provided by Finland’s CSC - IT Center for Science and EGI in their work. They have discovered that that the viruses previously linked to this disease are actually only the tip of the iceberg. Boid Inclusion Body Disease is a threat to boas and pythons in homes and zoos around the world. The disease starts with lack of appetite and poor digestion, but the main tell-tale sign is the many protein inclusions that appear in all cell types. The disease is often fatal. Besides the trouble it brings to conservation projects, the disease is also an economic burden — imposing strict quarantine rules for the transport of 200,000 snakes a year does not come cheap. So far, scientists know that the disease is somehow related to viruses from the arenavirus family, which are usually carried by mice and may cause hemorrhagic fever or meningitis if transmitted to humans. Jussi Hepojoki, a virologist based at the University of Helsinki in Finland, and his team set out to sequence the genome of the viruses found in the samples of six snakes. The first step was to isolate the RNA of the viruses — their genetic information — and sequence the samples using modern ‘next-generation sequencing’ (NGS) techniques. Hepojoki used the Chipster platform to handle the millions of sequences generated by the NGS analysis. Chipster is a user-friendly analysis software for high-throughput data developed by Finland’s CSC - IT Center for Science and ELIXIR, a distributed infrastructure for life-science information. Chipster contains over 340 analysis tools for NGS, microarray, proteomics, and sequence data. Users can save and share automatic analysis workflows, and visualize data interactively using a built-in genome browser and many other visualizations. Chipster's client software uses Java Web Start to install itself automatically and it connects to computing servers for the actual analysis. Chipster is open source and the server environment is available as a virtual machine image. To assemble the genomes, Hepojoki ran a software program called MIRA using the computing resources provided by CSC, which represents Finland in the EGI Federation. The research, which was published in the Journal of Virology, doesn’t point to a cure just yet, but “it brings us perhaps a bit closer to understanding the mechanisms of the disease,” concludes Hepojoki. This article is republished with permission from the EGI.eu website, and features additional text from Diego Scardaci. Similar case studies, highlighting how the computing resources provided by the EGI Federation are being put to use by researchers from across Europe and beyond, can be found here.